Let me ask you, have you ever found yourself thinking it or speaking it aloud by berating you, putting you down, telling you off, calling you uncomplimentary names, even swearing at yourself? If you have honestly answered “yes” to this question, then I want you to consciously put a STOP to IT, right NOW. For the more you continue to think and speak this way, the more you are saying you are not worthy, not good enough, not deserving, not entitled and you give permission for others to do the same to you. So have you ever wondered why your wishes, dreams and desires are not coming to fruition, not manifesting, not presenting themselves in abundance into your life? 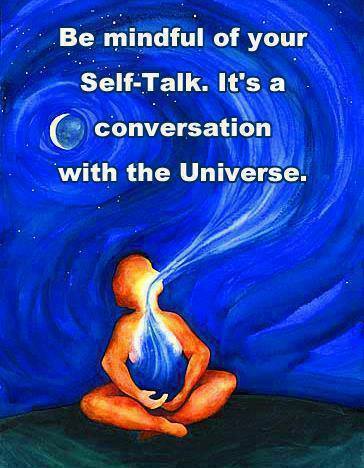 Let’s try changing your self-talk into the positive and create a new daily mantra, beginning with I AM……….! I am worthy, I am good enough, I am deserving, I am entitled, I am successful, I am talented, I am whatever I want to be, I am love, I am loving, I am loved, I am lovable, I am open to receiving abundance into my life, I am healthy, I am wealthy, I am truly blessed and without doubt I am filled with gratitude for all that comes to me in abundance. Work with these, add in all that you want and desire and as you change your thoughts, you will change your life and so watch your wishes become fulfilled! < Previous What’s in a breath? Next > Are you living or existing? That is so true Therese, One should always think their first thought as afirmation to oneself. The first thought is always from the heart and therefore most enabling. We are all worthy and should always fulfull our grandest ideas for ourselves. Then and only then may we help others. Thank you Terry, your input is invaluable and very much appreciated. Indeed we are all worthy and the more we believe this is so, the circle of a life is fulfilled!